Glastonbury presenter Jo Whiley will be at the forefront of festival fashion when she sports the world’s first ever pair of “running wellies” later this week. 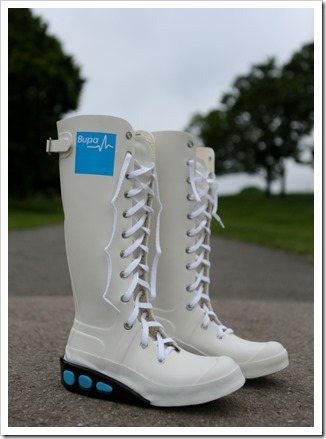 The prototype footwear has been created by Bupa specifically for Jo, to help keep her training for the Bupa Great North Run on track during her busy summer of festival commitments, whatever the weather. 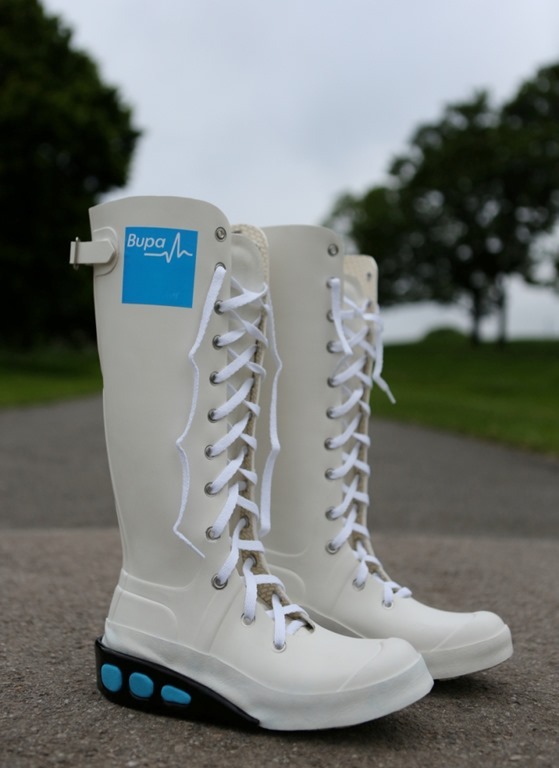 Bupa’s team of experts have created a number of the limited edition “running wellies” for festival goers this summer. The footwear has been designed in the style of the traditional wellington boot and include several key requirements of a trainer including laces, a supportive sole and increased ankle and heel support. Music fan Jo, will also be able to keep in touch with the latest festival sounds with the built in iPod holder. 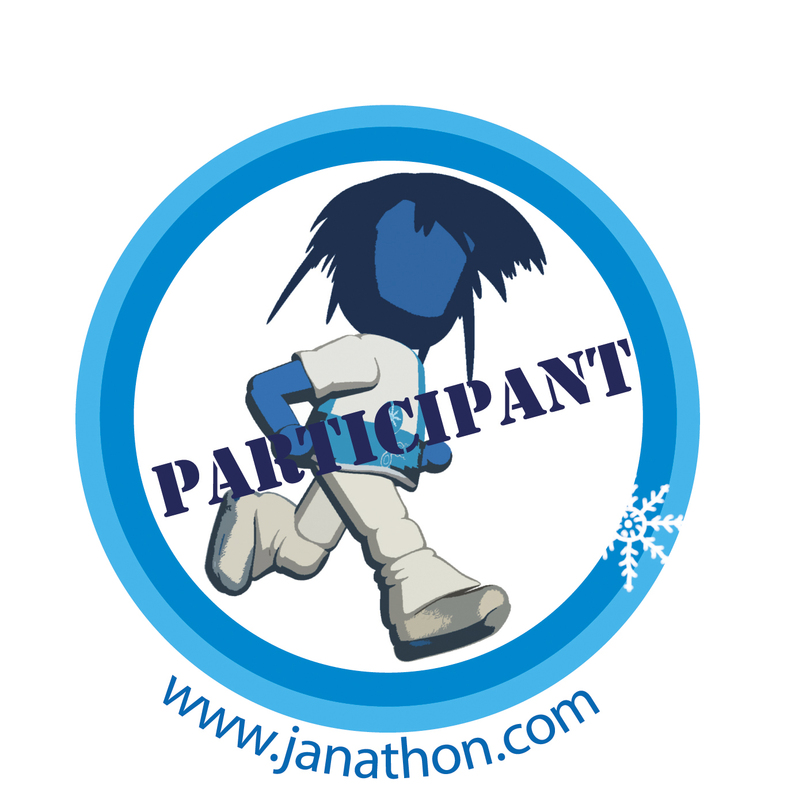 Despite her busy summer schedule, the presenter has committed to running her first ever half marathon on 15th September, in a bid to get fit. It is hoped that the “running wellies” will enable Jo to continue her training for the Bupa Great North Run despite the unpredictable weather and iconic mud covered fields. The run is part of Bupa’s My First Run campaign, which aims to inspire 2,000 people to take up running by offering free Bupa Great Run 5km places to first time runners. Tough for Jo to be at so many festivals and not be able to train properly. And those runners wellies look completely practical, with no risk of becoming sweaty, smelly feet-prisons. These seem interesting… Practical, sensible, appropriate and they just might work! what a fab invention if they do. Lovely of BUPA to have supported Jo and her training!